Blandford Colour Series. 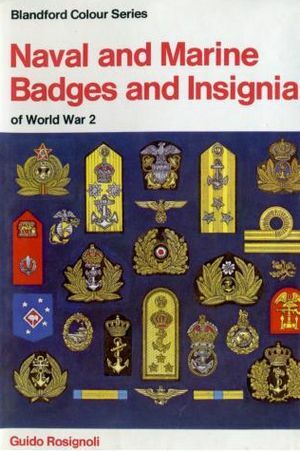 Profusely illustrated in colour this authoritative survey of Naval and Marine badges and insignia of the major navies participating in World War 2. Covers the navies of Great Britain, USSR, Denmark, Germany, France, Italy, USA, Japan, Poland, Netherlands & Finland.